Sam Frushour, Denver Harper, and Chris Dintaman study geology on location across the state of Indiana. For certain areas of Indiana, large amounts of data have been produced and compiled from various sources. 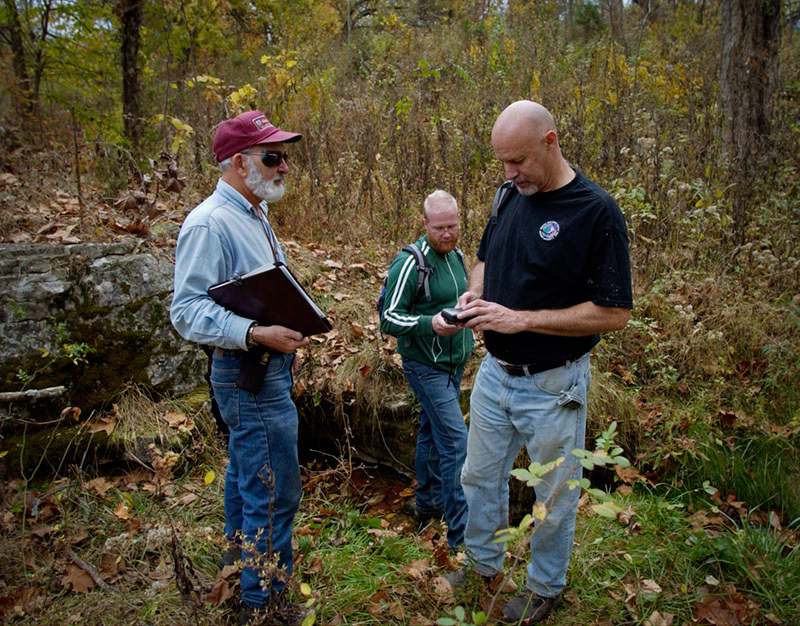 Often, cooperative support from either state or federal government agencies or from interest groups has enabled the Indiana Geological Survey to address particular issues of interest in specific areas. These location-specific studies feature more comprehensive examinations of the geology, hydrology, or other natural or cultural features than may be available in more topic-driven studies.